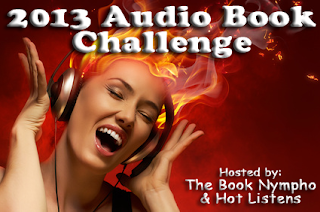 Viviana Enchantress of Books: 2013 Audio Book Challenge!! I LOVE audio books so when i found out about this challenge I so wanted in!!! Audio books provide me with the freedom to "read" more since I'm able to listen to them at work. I've been lucky that the majority of the audio books I've listen to have had great narrators. Others I've had to learn to think of them as just reading me the book vs. entertaining me (with the different tones, voices, personalities,etc.). Check out my favorite series in audio below. My favorite narrator? Phil Gigante! My goodness! That man's voice can make you swoon!! You can read a great interview along with some audio samples (outtakes) and ring tones here!